Of the 19,303 students in upper secondary school, 5,557 chose to study vocational subjects. Just over a quarter of all students aged between 14 and 16 opt for a vocational subject, the fourth-lowest rate in Europe, fresh data shows. According to the European Union’s statistics office, Eurostat, of the 19,303 students in upper secondary school, 5,557 chose to study vocational subjects in 2016. Vocational subjects were first promoted to Secondary Education Certificate (Sec) level four years ago, when students could sit for the Sec exam in five such subjects. Education Minister Evarist Bartolo has regularly insisted the island’s education system needed to start recognising the skills of those students who learn better through a hands-on approach. Mr Bartolo has also said that vocational subjects are required to address what he believes is a skills gap in the Maltese labour market. According to the Eurostat figures, released to mark the annual European Vocational Skills Week, while some 28 per cent of the students in upper secondary studied such subjects in 2016, the year under review, the numbers were still lower than those of the majority of EU member states. The take-up rate for Malta was the fourth-lowest and significantly below the EU average, which showed that almost half of the students were following vocational subjects. The highest rate was recorded in Czechia (the Czech Republic), where almost three-quarters of all upper secondary school students opted for vocational subjects. At the other end of the scale, Cyprus, Hungary and Lithuania were the only three member states with rates lower than those of Malta. 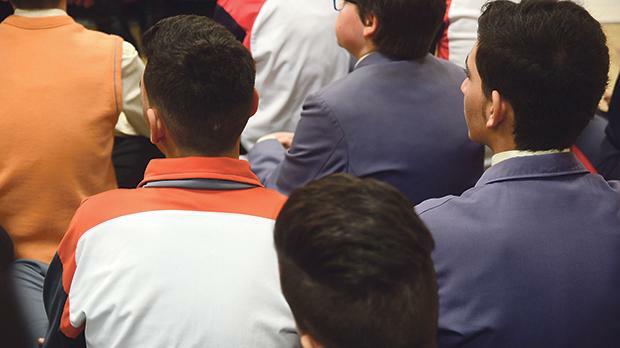 The Times of Malta reported on Monday that according to the ambassador for the European Vocational Skills Week, Elaine Pavia, there was still stigma associated with the learning of vocational subjects and this could be preventing students from discovering their real talents. Ms Pavia also pointed fingers at those parents who she said failed to realise that attending certain vocational colleges could be just as fruitful as attending university.